Published on February 2, 2018 in analytics and general info. 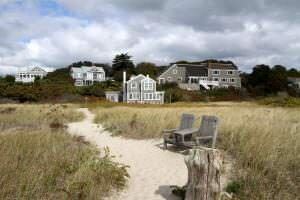 Closed Tags: Cape Cod condo sales, Cape Cod Luxury condo sales, Cape Cod Luxury homes, Cape Cod new construction, Cape Cod real estate, Cape Cod sales, Provincetown condominiums, Provincetown real estate. The three highest priced and the three lowest priced condos sold last year illustrates that regardless of what impressions are about the affordability of Provincetown real estate, there is a huge and accessible range of prices in the condo market. $155,000 to $2,450,000. 24 Point Street – $1.365M – two bedrooms, three baths with 1,414 square feet. MLS Remarks: This single family home was just completed in 2009 yet it fits perfectly in its neighborhood of antique capes and cottages in the far West End. Thoughtful design and quality construction are evident throughout. It is part of the sought after Westwinds association and enjoys full benefits of the pool, gardens and beach access on Comercial St. Open plan first floor with doors all around leading to decks, patios and gardens. There is an enclosed 3 season front porch, half bath and an outside shower on this level. An efficient gas fireplace lends a cozy feel. There are two bedrooms each with ensuite baths on the second floor. The master has a a private balcony. 793 Commercial #1 and #2 – $1.650M – four bedrooms and four baths in 1,996 square feet. MLS REMARKS: As you walk down the enchanted path to this unique oasis, the magnificent location will take your breath away. 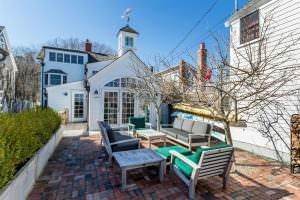 This waterfront picturesque two family home has a casual, beach, elegance with a shabby chic niche. This location has privacy as well as unobscured water views from every window of the house. You can see the house history in the beams and other details. Rent one side and enjoy the other. 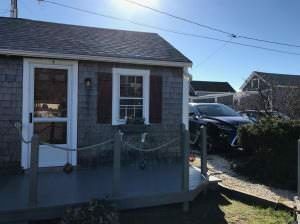 This is a fabulous opportunity for anyone who loves Provincetown and its true beauty.This is two condo units connected being sold together. 47 Commercial Street #A – $2.450M– four bedrooms and three baths in 2,452 square feet. MLS REMARKS: Extraordinary 4 BR waterfront home in exclusive west end location with high end amenities. The property has three fireplaces, reclaimed hard wood floors, exclusive outside area and access to the beach. A very large kitchen with vaulted ceilings and water views as well as master bedroom with water views is just a couple of features in this well maintained condominium home. The property was totally renovated and updated with high end amenities in 2001. 963 Commercial $155K – one bedroom and one bath with 260 square foot condo. 881 Commercial $167.5 – one bedroom and one bath and 178 square feet. 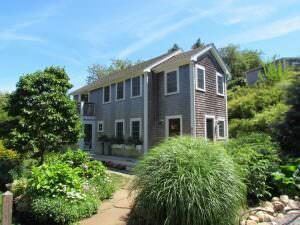 MLS REMARKS: Own a piece of Provincetown and be in before the summer of 2017! 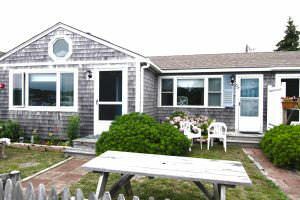 With a freshly painted deck, front door, all trim and windowsills, as well as all brand new shutters, this quintessential Cape Cod cottage condo in a unique and sweet setting in a great location awaits you! Enjoy a peek of the bay from the bay facing windows. The smart, renovated, well laid-out, and bright and airy interior offers a roomy sleeping and storage loft, full kitchen with washing machine, tiled bathroom and high ceilings. Enjoy the pleasant courtyard and Commercial Street view from your front deck, or BBQ in the private, enclosed patio area out back. 963 Commercial $170K – one bedroom and one bath and 260 square feet. MLS REMARKS: Laze by the pool, or stroll the pathway to a private beach with spectacular water views, just steps away! This cozy Beach Point condominium has a living room, bedroom, kitchen area and, a large bathroom, exclusive-use of the front yard Traditionally used seasonally, but with trustee approval can be winterized for owners offseason use. . One pet (by approval)permitted, excellent rental history, exclusive parking, A perfect weekend , carefree getaway.